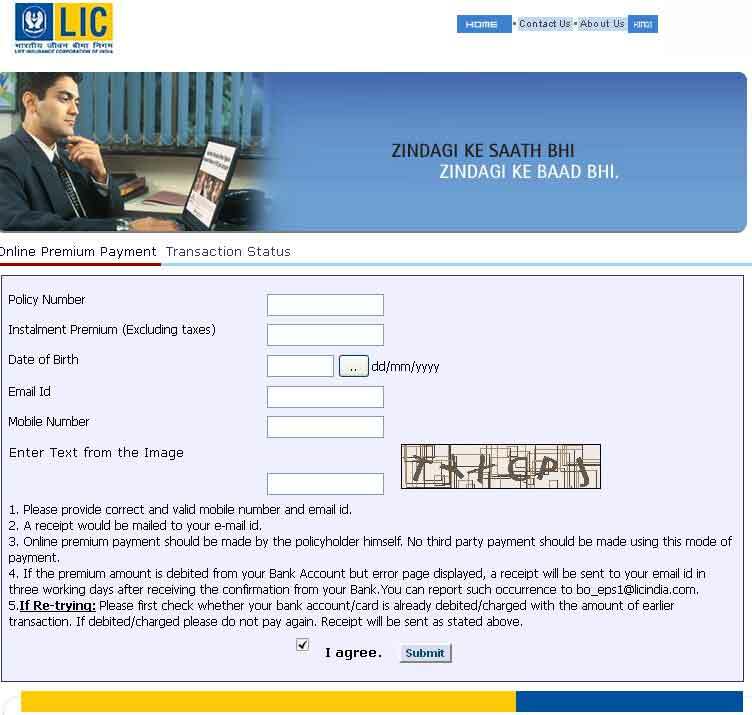 LIC Premium Payment Online is now the trend for paying premiums. Gone are the days when one need to go to LIC office for submission of form and paying the payment either in cash or by cheque. LIC Policyholders can enroll policies on their own life only. In the year 2017, if the LIC policy premium you are paying is for a different person viz. spouse, children etc, then you are requested to register a separate user-id and enroll the respective policy/ies under that user-id. Pay your LIC Premium Payment Online - It makes it easy for you and you are doing a bit in making Digital India and Cashless India. If you are an LIC Policy holder and wish to pay your LIC Policy Premium online, you have come to the right place as here we are telling how to pay lic premium in a few wasy steps.You can also avail this facility on your mobile while installing the lic india apps on your smarphone, iphone, ipad or andorid device. You can pay LIC Policy Premium online with or withour registration on the lic india website in 2017. 2. 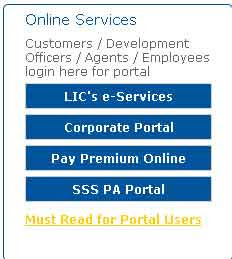 Click on Pay Premium Online button mentioned under Online Services to pay lic premium online. 4. Here, you can find 2 buttons - Pay Direct and Pay Premium through e-services. 5. As you are already a registered user of LIC India, Click on the second button "Pay Direct and Pay Premium through e-services". 6. Now in this step, either Login with your credentials as a Registered User or you New Users can also Register Here. 7. Click on Registered User and the following screen opens. 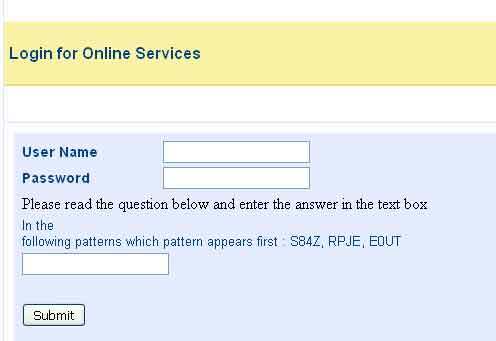 Login with your Username and Password and answer the Captcha Question. 8. After Submitting, if your LIC policies are not seen, click to Enroll Policies first. 9. If you can see your Enrolled policies, click on the Pay Premium Online. 10. Select the LIC policy for which you want to make an online payment and click submit. 11. Here you can select the choice for how to make LIC payment online with options such as Internet Banking, VISA Debit Card, American Express and RuPay Cards. Select one option amog them and click submit. 12. Confirm all the details and click on Make Payment. Your LIC paid premium online digitally signed e-receipt will be generated which you can download for future use. The LIC Premium Online Payment receipt will also be available on the registered email of the user. 2. Click on Pay Premium Online button under Online Services to pay lic premium online. 5. Next step is to pay lic premium online via internet banking, credit card, debit card etc. 6. Confirm all the details and click on Make Payment. LIC premium online receipt will be generated. You can downlod it in pdf format and the digitally signed e-receipt will also be available on the registered email of the user. » No further registration is required at the service provider end. » No time lag from the date of payment to getting receipts. » Paying LIC Premium online is secure and safer as the policy data is not shared between LIC and Banks over net as only the amount to be paid is encrypted and sent. The login id at both the sites (LIC and Bank) is known only to the customer. » There is no charge for the customer to avail this service.